"Who are these people? What do these words mean?" "No clue." Frequent refrains from festival-goers examining an undercard. Headliners grab headlines for a festival, but its often the strength of the undercard that makes a great musical experience on the ground. By their nature, undercards carry unfamiliar names. There's value in wandering festival grounds hither and thither drifting towards whatever catches your fancy. In fact, we recommend this approach. But The Rust Music was designed to give unheard artists an audience, so we took a magnifying glass to the undercard at Psychedelic Sleepover. This exploratory bass music showcase takes place on June 1 & 2 in the woods of New Hampshire. It's hosted by northern New England's best bass crew, Taproot Productions, who stuffed their bill with talent. It's a small gathering, so the undercard is no 60-artist rabbit hole. Northeastern folks are probably familiar with at least a handful of the names. Still, to acquaint audiences with underground sound, we offer 10 artists to keep your ears on from the bottom half of the Psychedelic Sleepover bill. For a further taste of the undercard's energy, we assembled a playlist containing a cache of psychedelic grooves from these 10 performers. Alex Hinger aka Alejo is a psychedelic bass heavyweight from the Midwest with reach from coast to coast. Coming out of Cincinnati, Alejo is a co-founder of ThazDope Records and has additional releases on Street Ritual, Shadow Trix, and Wormhole Music Group. With multidimensional down to mid tempo and halftime bass music, he pries open sonic spaces and slices through mental states. Alejo can act with force, as on "Phonetic Flex", or with delicacy, as on "Inciting Ferdinand". Aqueous downtempo soundscapes run into fuzzy neuro halftime business within his mixes, which include a superb session with BeatLab Radio. 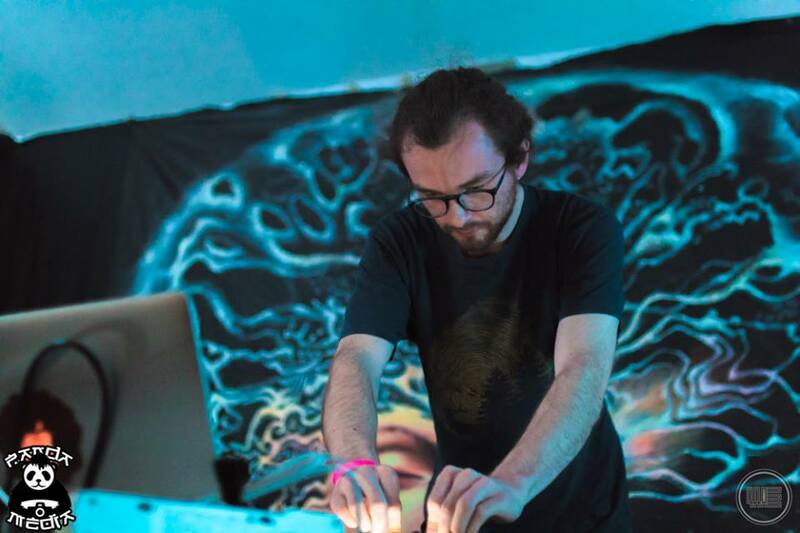 Alejo has performed at a solid cross section of festivals including Infrasound in Wisconsin, Bloomtown in Minnesota, Resonance in Ohio and Stilldream in California. There's a mysticism to Malakai's music that's amplified when brought out from the night club into the bright fields and foliage of a festival. Ranging from downtempo to midtempo, at times dipping into ambient but always equipped with an edge, his music appears invigorated by fresh air. Fortunately Malakai is no stranger to the northern New England woods. He's a familiar face in Portland, Maine, the home turf of Taproot Productions. As a veteran of Wild Woods Festival, a cousin to Psychedelic Sleepover, he's perhaps played Page Farm more than any artist on our list. Lately he's been holding down New York City and the Tri-State and testing a bit of new and unreleased material. His music borders on many styles, but ultimately cultivates an energy all its own. Matt Carey's debut LP was called Born into Bablyon. He chooses not to stay inna babylon, opting instead to journey back to roots guided by minimal, earthy house music. Hailing from Boston, Carey will hold down the local support along with so many others. Save for other locals like Moses and a few more, the diversity on Psychedelic Sleepover's lineup is mostly limited to broken beat music. Carey's four-on-the-floor movement should be a delightful departure, then. Hand drums and woodwinds mirror drum machines and synthesizers in his drawn-out, slow-developing tunes. There's a touch of glitch in all the right spots, too, especially on "Future Sound". The vibe is energetic and sexual, the presentation peaceful and serene. Jake Maxfield has been dropping diverse strains of intriguing bass music on a consistent basis for the past year from his home in Boston, Massachusetts. His offering ranges from neuro to glitch and quasi-dubstep, and even a bit of purple vibes come through based on the synthesizers he chooses. He truly queers typical genre classifications, and just goes for the jugular with his own unique one-off arrangements. There's danceability and psychological complexity in his music; a devilish combination He's represented by the folks at Taproot Productions and as such he's playing two of the Sleepover's pre-parties including the New York City warm-up with Kalya Scintilla presented by The Rust Music. It's rumored that he has a stack of unreleased goodies prepared for these performances and the Sleepover itself. Shwex released his first EP before graduating high school. Since then he's been steadily elevating his sound and reputation within the psychedelic downtempo universe. Some downtempo can be overwhelmingly in its complexity. Shwex gets complex, with the intense, industrial "Square One" as an example. But there's also relaxation and a unique simplicity in his composition, as on "Aurai". His developing side project anomly seems to balance both these extremes. Recently he's been introducing IDM and glitch vibes into Shwex music where psy influence was once more prevalent. We imagine the energies within a Shwex performance would be ripe for release in dead of night or the spring of early afternoon. He resides in Olympia, Washington, so for him the Sleepover is a rare East coast excursion not to be lightly overlooked. Here's a great opportunity to catch some of the gratuitously deep and spaced-out dub music that's less available in the festival's first two tiers. This fellow offers deep, dark, rootsy dubstep. He's from Worcester, Massachusetts and recently began hosting shows under his brand called Citadel Bass. He's rooted deeply in Fractraltribe, performing in April at that group's 10-year anniversary bash in New York City. His sets are rumored to spellbind, offering a dance floor experience that's "transformational". Terraphorm's available music, mostly made up of past sets including an immense FractalFest 2017 Minimix, point in this direction. It's deep stuff. That only a small but rich taste is available from Terraphorm intrigues us even more. You won't know exactly what's coming, just that it's got weight. Deep roots generate plump, wholesome yields. Mark Evan Musto aka Tsimba has for years driven forward his future roots sound - a hybrid of dubstep, drum and bass and neuro - and today its bearing juicy, delicious fruit. Mark is from Connecticut and cut his teeth in that state's burgeoning community with Elemental Minded Promotions. Now residing in Brooklyn, he's become a regular performer in New York City, a roaming resident one could say. His DJ skills are rock solid and he performs with mostly original music save for a few choice selectors, usually tunes from his peers. Being a drummer by trade, Mark spares no effort in crafting hard-hitting and well-rounded percussion, just the sort that keeps a crowd engaged and moving during a live performance. Tygris' live performance continues to evolve, but its authenticity and quality is established. The heavy hip-hop influence in his studio music really manifests itself during his performances. The tempo often stays at a steady bop, and all sorts of screwface neuro synthesizers are woven through the beats. His original tunes bang, especially those off his recent Redefined EP, and he mixes these up with choice selectors from the glitch hop hall of fame. Tygris aka Zach Plocic from Long Valley, New Jersey, also uses skillful live record scratching to set off the hip-hop vibe even more. He's been known to sit in and scratch with other artists, so we wouldn't be surprised if he hits the stage more than once at the Sleepover. Being unfamiliar with his performances, our zeal for Wessanders is based almost exclusively on the strength of his "Christmas Miracle Mix" from this past December. It's just twelve minutes of original music, but its twelve minutes of unequivocal heat. The young man, whose real name is Kai Felsman, is clearly cooking with gas though he hasn't served up many plates yet. We hope his Sleepover set will be an opportunity for audiences to explore his sound, which is clearly cutting edge and very visceral. Like his collaborator Maxfield, Wessanders is held down by the Taproot team.